Alexander William Scott was born at Portland about 1885 to Charlotte Eva Scott, daughter of William John Scott and Mary Jane Black of Balmoral. In 1894, Charlotte married Stephen Lance and they had a son Stephen Arthur, born in 1894 at Hamilton. Alexander attended Hamilton State School and another brother George arrived in 1897. The Lance family lived at 25 Alexandra Parade and Stephen was a coachbuilder. When Alex finished school, he began work as a coachbuilder then moved to Donald where he worked with his younger brother Stephen as a blacksmith. 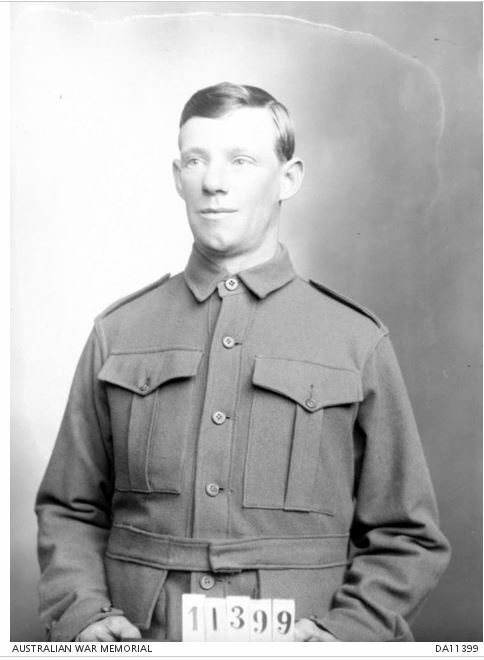 He enlisted at Melbourne on 3 August 1915 aged twenty and departed on 5 October with the 21st Battalion. Shortly after reaching Egypt in late 1916, Alex contracted mumps and was hospitalised for a month. He was discharged on 3 January 1916. It was another three months until the 21st left for France. Alexander arrived in Marseilles on 26 March 1916 and with the 21st, made his way to the Western Front, the first Australia battalion to arrive. After experiencing heavy fighting during July and into August during the Battle of Pozieres, Alex was promoted to Corporal on 17 August, 1916. On 26 August, the 21st Battalion were situated near a quarry, positioned to take Mouquet Farm. It was during that time Alex was wounded and died from his wounds in the field. Back in Hamilton, Charlotte received a letter from her youngest son George Basil Lance during September 1916, advising her he had enlisted without her consent in Adelaide. He was nineteen, and without consent, he enlisted as twenty-four year old Lance Basille. Meanwhile Charlotte was writing letters to Alexander, probably telling him about this brother’s enlistment. She began to receive her returned unopened letters with the words “missing'” written on them. 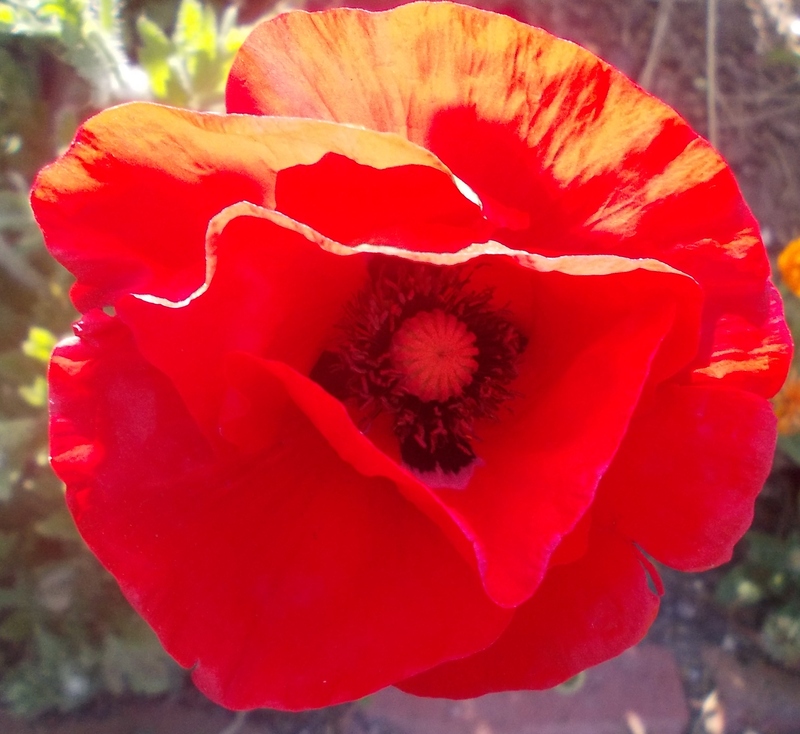 During November 1917, Charlotte contacted the Defence Department advising them of three returned letters and that she had not heard from Alex since August 1916. An investigation began into Alex’s whereabouts. 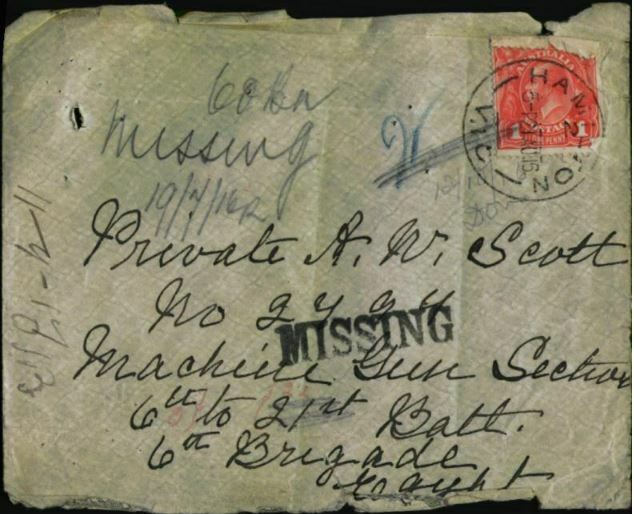 Charlotte’s decision to follow-up on the missing letters possible came about after the death of her youngest son George in Belgium on 18 October 1917. Charlotte received notification of George’s death on 8 November 1917 and on 14 December 1917 she learnt her eldest son Alex had died of his wounds sixteen months before. The reason Charlotte did not get notification when Alexander’s died was most likely due to an incorrect address on Alexander’s Attestation papers. Charlotte’s address was recorded as Alexandra Parade, Flemington. In one of her letters during the investigation, Charlotte told the Defence Department she had never lived in Flemington, having lived in Hamilton most of her life. While sorting out Alexander’s affairs, Charlotte was also sorting out the administration issues that arose from George’s false name. A tree was planted for Alexander Scott along Hamilton’s Anzac Avenue and he is remembered on the Hamilton War Memorial and the Donald War Memorial.